Simply upload agenda spreadsheet to Whova’s web dashboard. 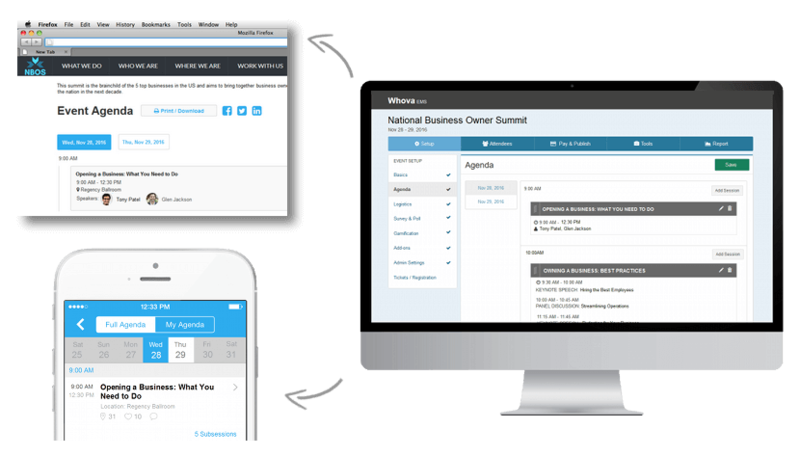 Whova turns even the most complicated agenda into a stunning web and mobile agenda. Make a change in one place and automatically sync your whole agenda across different websites as well as the Whova app. There’s no need to worry about inconsistent updates anymore! 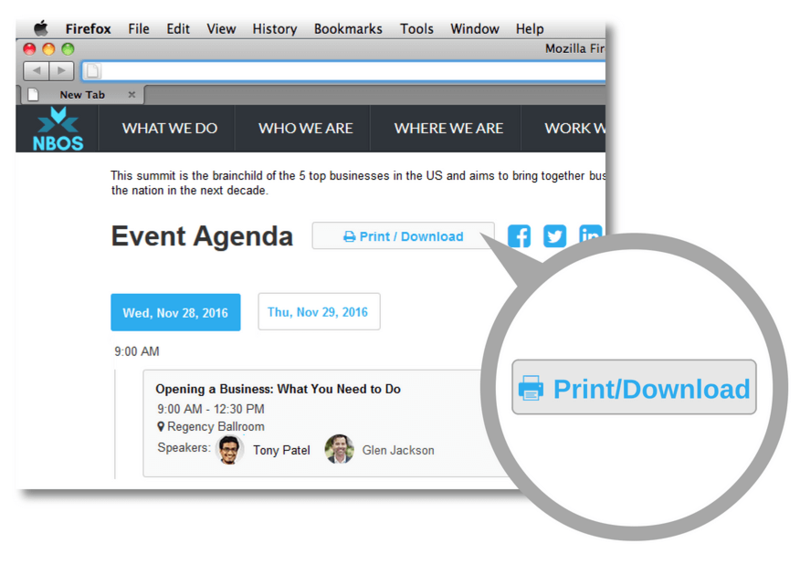 Download an up-to-date agenda into a PDF file to share, print, or design a simple flyer. 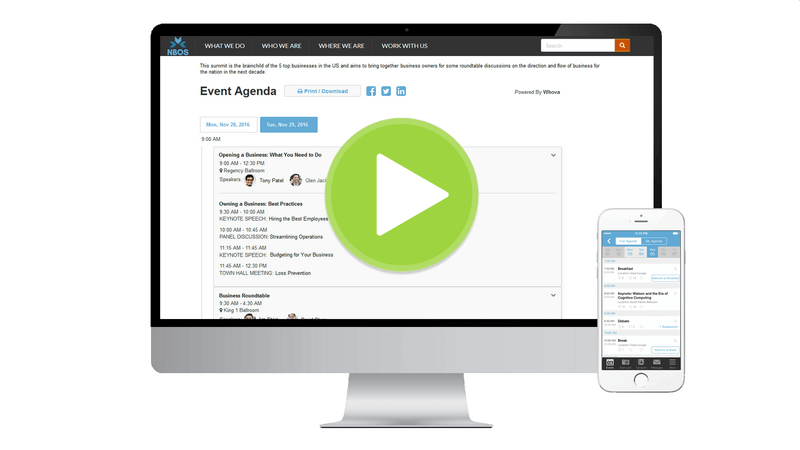 Provide attendees with an easy way to get a print-friendly copy of your event’s agenda from your website.